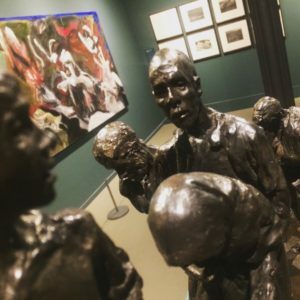 An Gorta Mór: Powerful artworks from the permanent collection of the Great Hunger Museum in Connecticut went on show this week in Dublin Castle, centre of the British Administration during the ‘Great Famine’. Of all the shocking images and facts surrounding the opening of the Coming Home exhibition in Dublin Castle on Wednesday night, none was more sobering than the number of destitute Irish who presented themselves for poor relief in a nine day period in Liverpool in the bleak January of 1847 — 173,000. President Higgins referenced that fact (with its shades of Syria) in a masterful speech to mark the unveiling of the artworks which have been brought home to Ireland by the Museum of Ireland’s Great Hunger in Connecticut. An initiative of John Lahey, president of neighbouring Quinnipiac University, the artworks represent the greatest global collection relating to An Gorta Mór. Anyone who doesn’t believe that ‘art is the answer’ needs only to stand before Michael Farrell’s damning depiction of the ‘trial’ of Trevelyan to understand the power of the unconquerable artist. 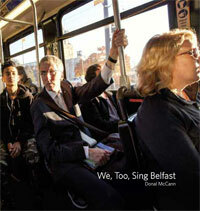 Unfortunately, neither the Ulster Museum nor the MAC, Belfast’s two largest gallery spaces could accommodate the Coming Home exhibition, but our loss is certainly Derry’s gain as the works will go on show in the Glassworks there next January. Fast forward, then, across three centuries to 2018 and surely the horrors of famine and persecution are a thing of our dark past? On Friday night, I was in the Market Place Theatre in Armagh for Lives in Translation, a compelling play from the fearless Kabosh theatre company based on the decade-long struggle of a Somali refugee to find sanctuary in Ireland. 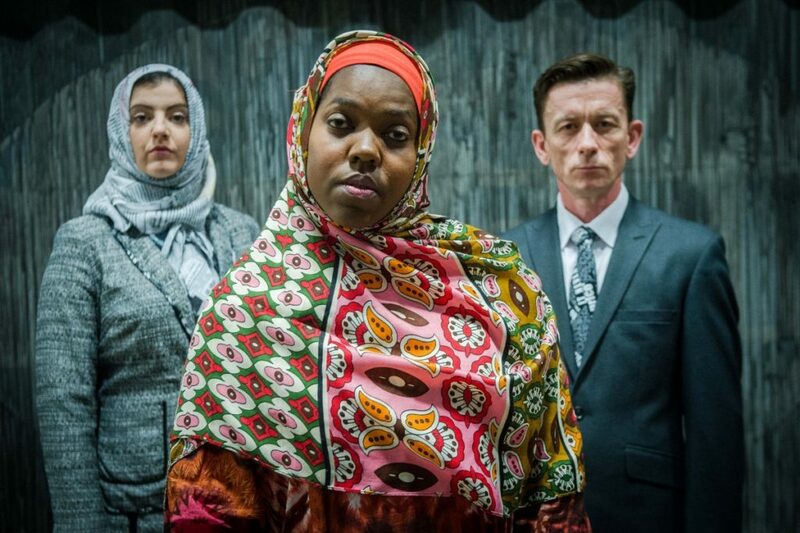 Puzzled, perplexed, patronised, ping-ponged between Dublin and Belfast and imprisoned time out of number, Asha (played, though possessed might better capture this flawless performance, by Raquel McKee) is fleeing the jihadists in her own shattered country. For my part, I learnt more about the plight of asylum seekers and refugees in Ireland 2018 through this powerful play than from a shed-load of official briefing papers. And our conscience might be called into play as well. If you wish to support Somalian ayslum-seeker Maryam Yuusfuf, whose ordeal inspired playwright Rosemary Jenkinson to pen Lives in Translation, you can sign a petition online opposing British Home Office efforts to deport her back to the horrors of Somalia.